Going scuba diving in different places around the world is definitely an exciting hobby, but what are you supposed to do with all your gear when you’re not using it? Scuba diving has a lot of gear associated with it, and having to store it somewhere in your house can certainly take up a lot of space. Instead, why not keep your scuba gear in a storage unit? If you plan on doing this, it’s important to make sure you store your scuba gear properly. Today in the Affordable Family Storage blog, we’ll explain how to do this. Before putting your wetsuit in your storage unit, you need to make sure that it’s clean and dry. Salt can be extremely damaging to your wetsuit if left to sit on it for a long period of time. Make sure you thoroughly wash your wetsuit in fresh water and then hang it out to dry. Once it’s completely dry, you can fold it and place it in your storage unit. Before storing your regulator in a storage unit, make sure you deep clean it. First, make sure your dust cap is screwed in place. Scrub the mouthpieces and wash them off. Let it hang to dry after thoroughly washing it. Once it’s dry, it’s ready to be put into storage. You’ll also want to make sure none of the hoses have bends in them before putting them away. Like your wetsuit, the most damaging thing to your BCD is salt and sand left on it for a long period of time. Before storing your BCD, wash it with fresh water and allow it to dry. Inflate and then deflate it to get rid of any extra particles. Once you’ve done this, you’re good to put your BCD in a storage unit. All of these things can be easily rinsed with fresh water and then left out to dry. Once you’ve done this, put them in your storage unit. For all of the above items, you’ll want to store them somewhere cool, dry, and out of direct sunlight. For this, we have climate-controlled storage units that are perfectly suited for your gear. It’s also a good idea to not place your gear on the floor. Either hang your gear up in the unit or put it on a shelf. This will keep it all safer from dust and debris. 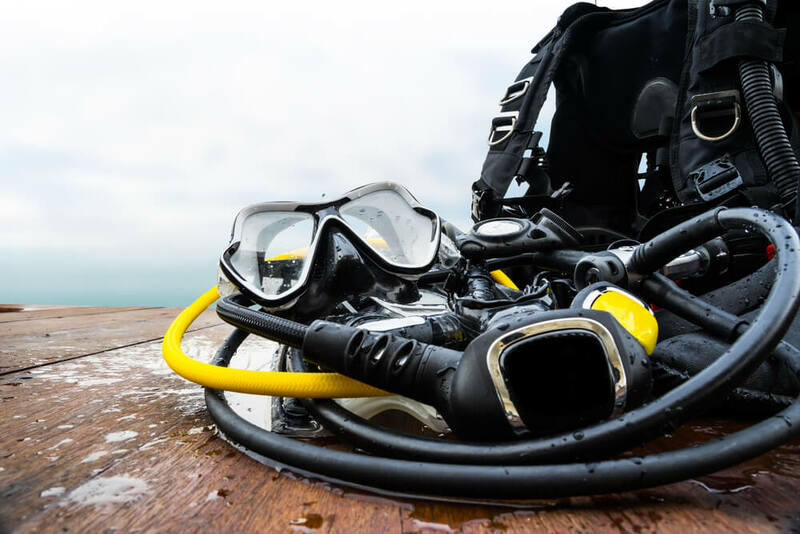 If you’re looking for a climate-controlled storage unit to keep your scuba gear, Affordable Family Storage is your answer. We make storage convenient and easy. If you’re not sure what size storage unit you’ll need, just use our free storage calculator to find out. For any other questions, contact us today! We’re happy to help.